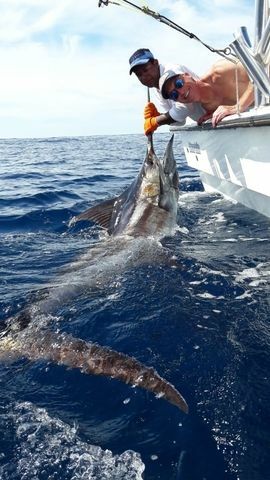 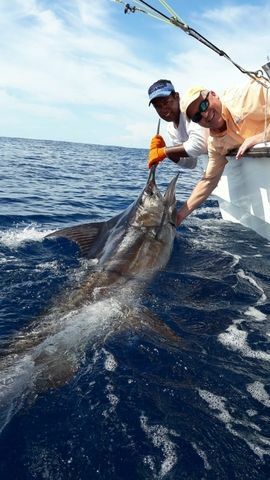 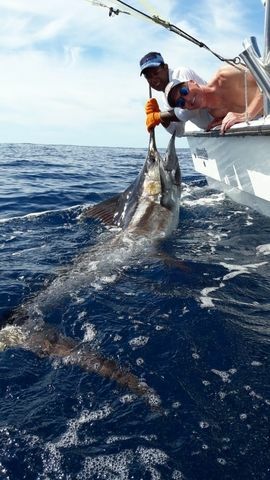 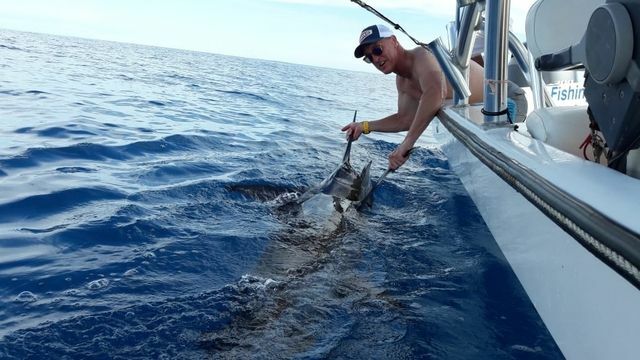 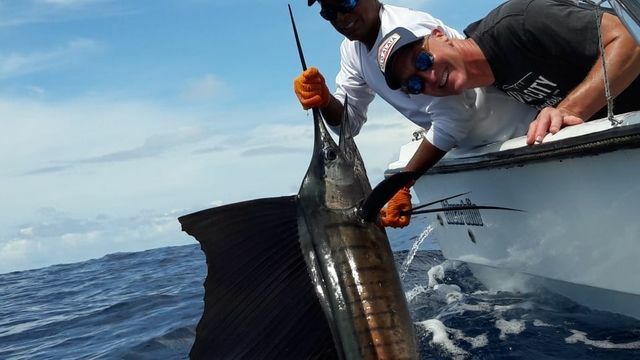 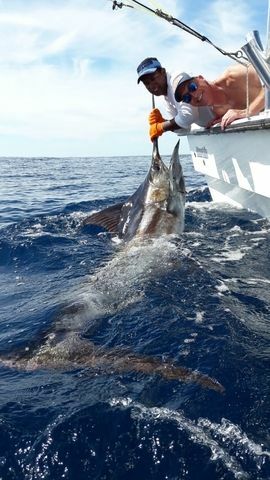 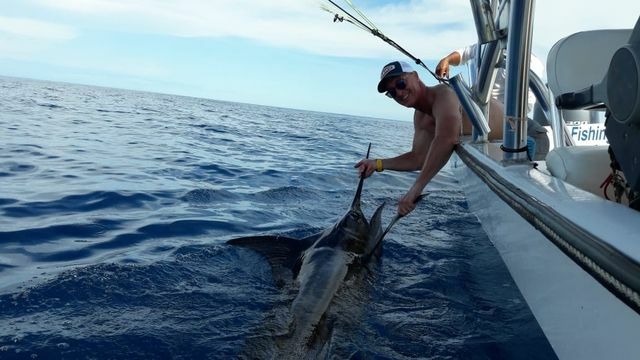 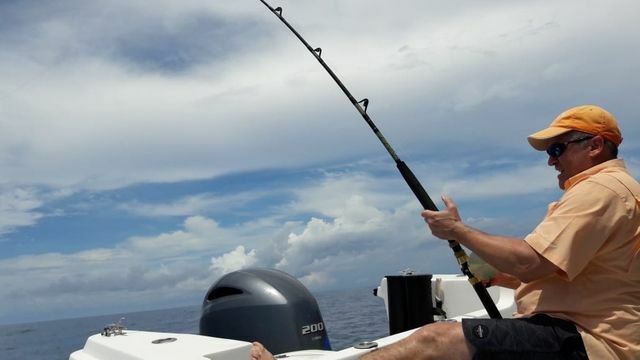 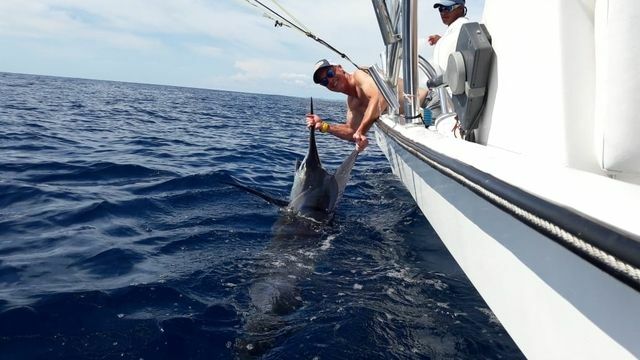 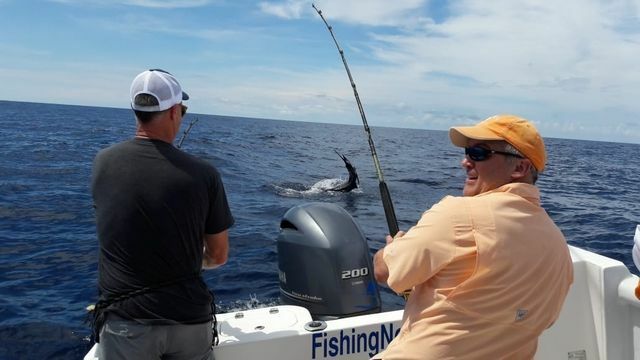 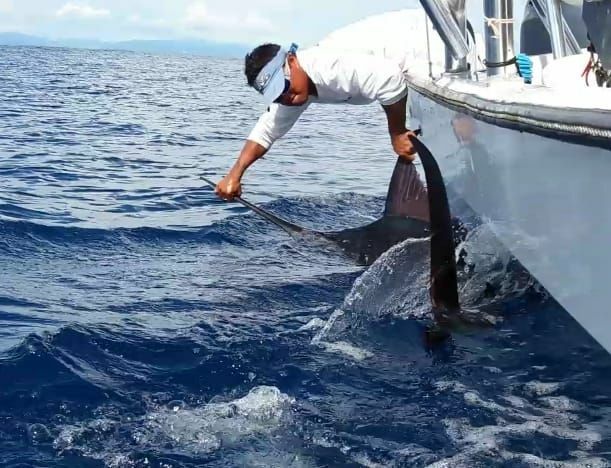 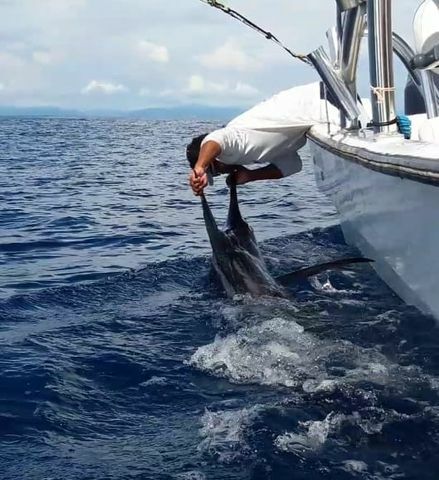 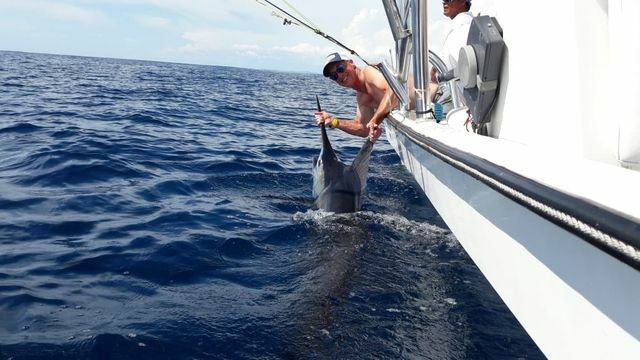 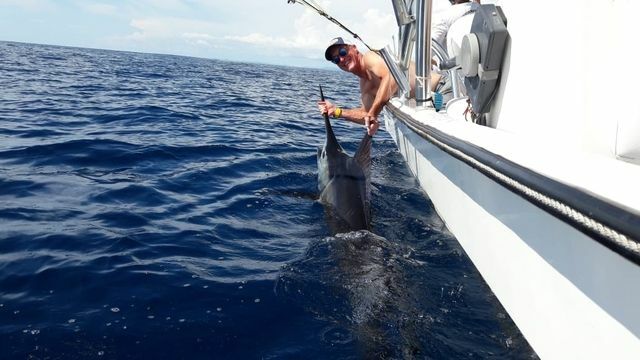 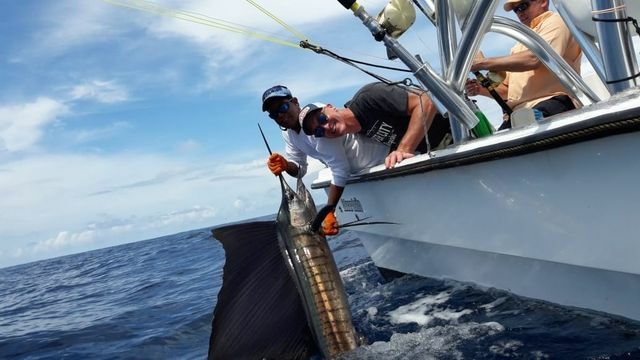 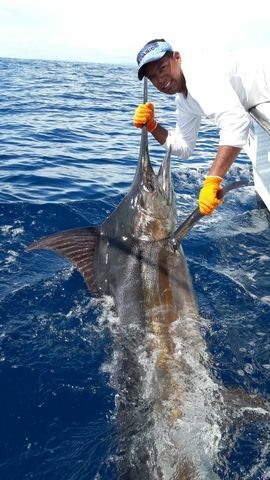 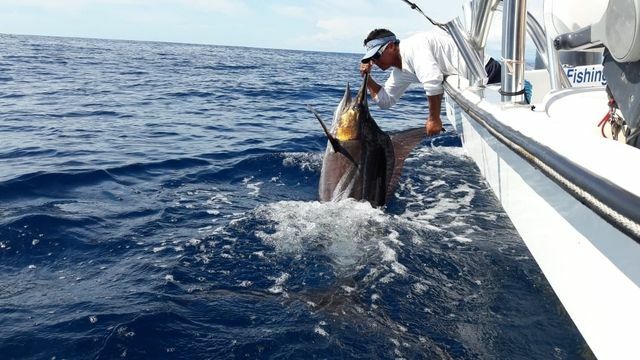 Captain Alex entered the closing stretch of the white-hot August bite with a wonderful Blue Marlin release on the 25th. 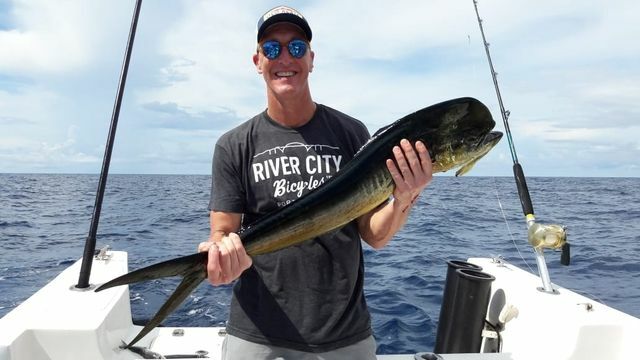 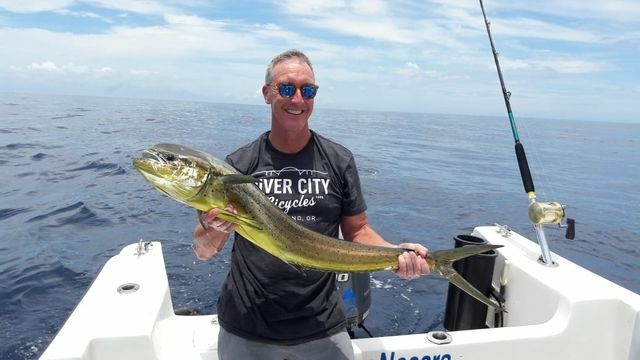 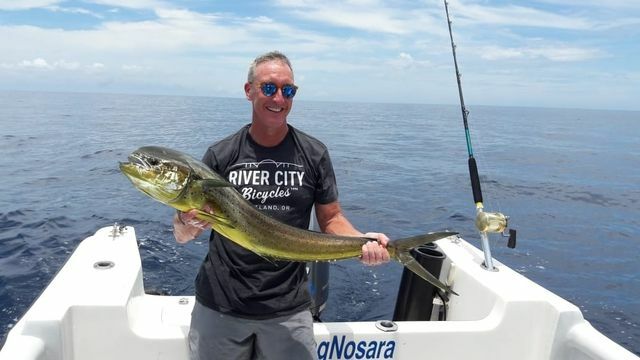 Angler Stuart Smith bested this bad boy, and it was just the beginning of a banner day. 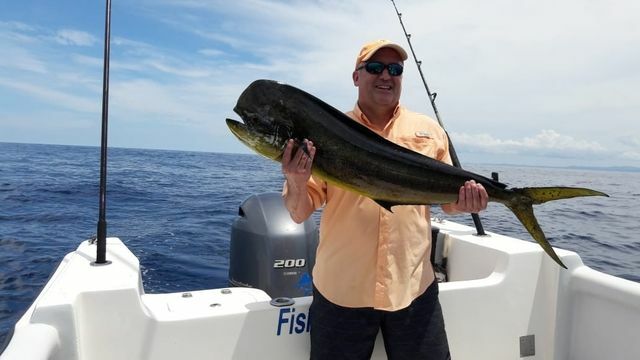 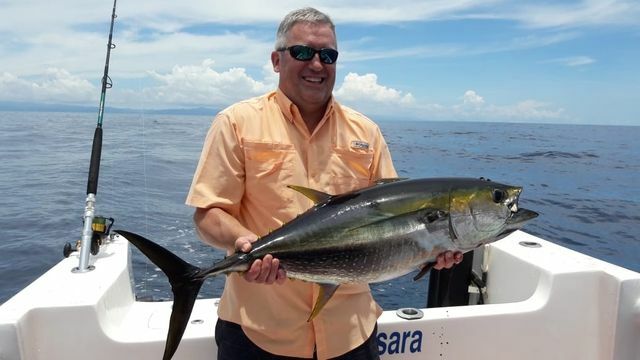 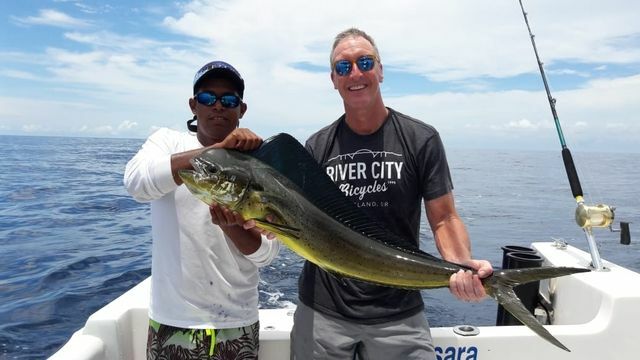 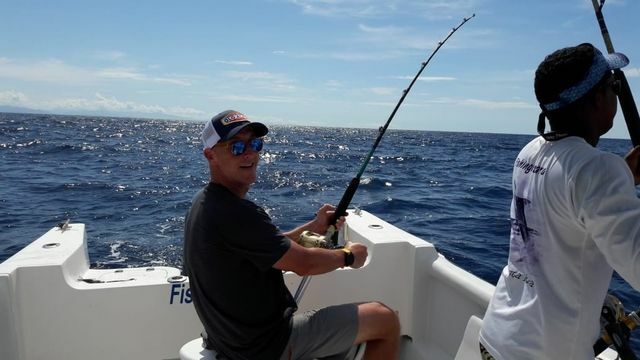 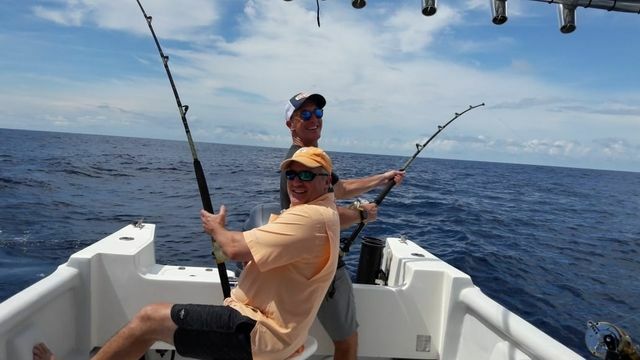 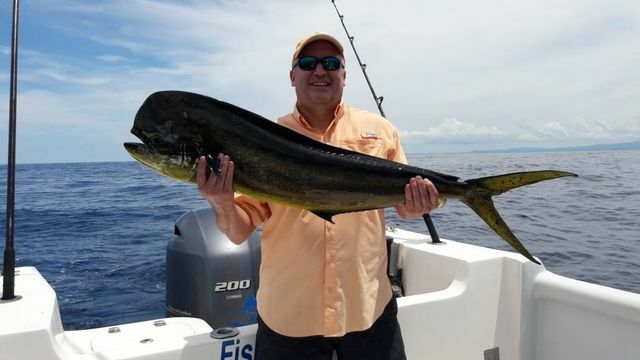 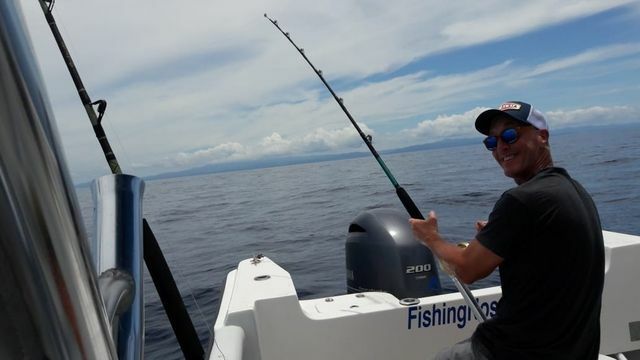 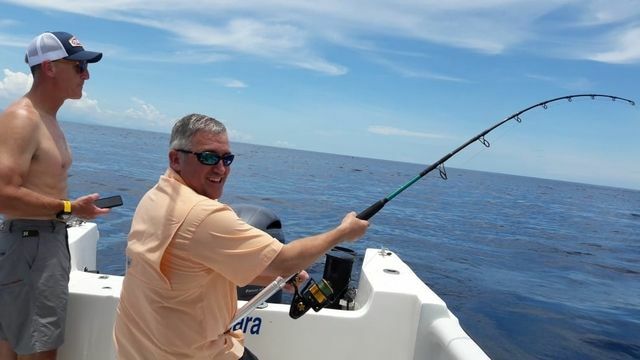 A big Yellowfin Tuna came along, and then a nice team of Dorados also found the fishbox. 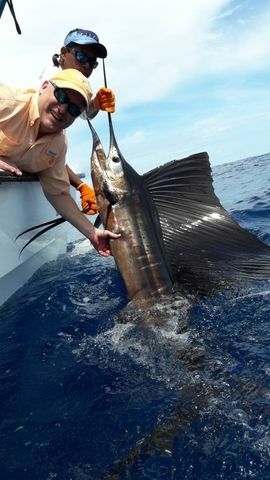 As if there arms weren’t worn out by this time, a paid of late-day Sailfish came calling and fought bravely all the way to the safe releases. 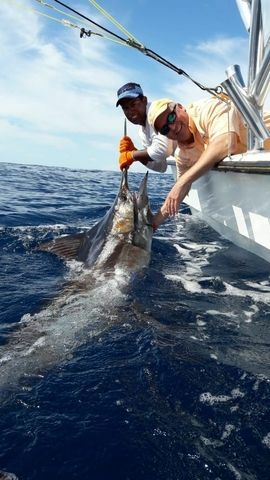 Awe-inspiring day on the water by the mega panga Harvester!